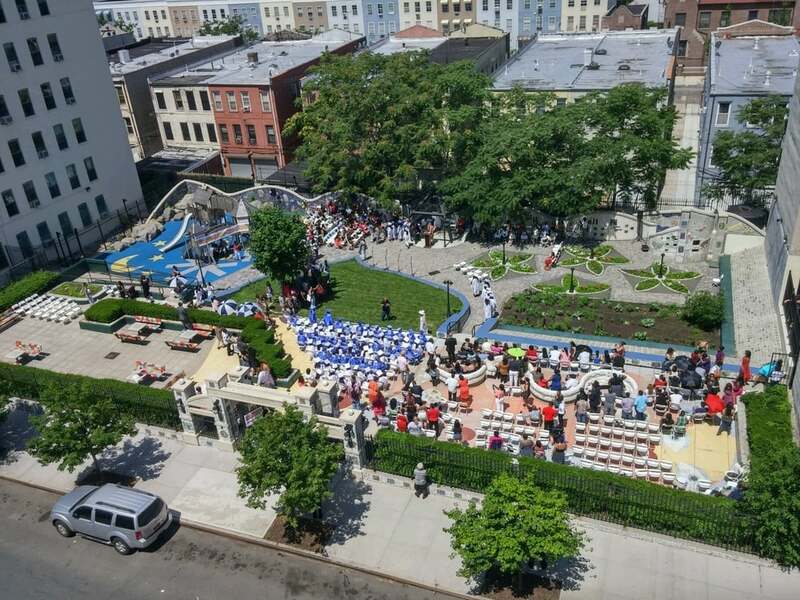 Bronx Pro is constantly expanding its commitment to community development in the Bronx. Recent initiatives involve visual as well as performing art programs designed to engage with the local Bronx community. Along with their other social missions, Art has become a vehicle for Bronx Pro to create welcoming, healing and collaborative residential atmospheres. 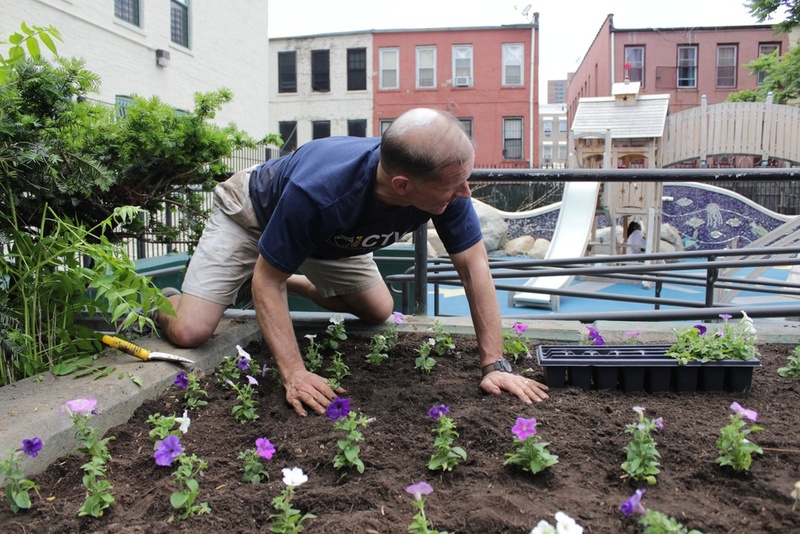 The Art programs complement Bronx Pro’s existing strategy to engage in formal and informal relationships with local not-for profit organizations, which lead to the fulfillment of community building. Specifically attributable to these informal relations has been the successful creation of day care centers, an art center, a senior citizen center, early drug prevention/after school programs, a drug rehab center and presently a Digital Learning Center. Bronx Pro’s latest community art project is the construction of Hayden Lord Park on Andrews Avenue in the Bronx. The purpose of the Hayden Lord Park project is to reimage an underutilized urban space (formally owned by NYCHA) to create a sustainable and educational muralscape for the enjoyment of the Bronx Community. At the heart of the project is the creation of an outdoor art space featuring an organic farm and 60 foot tall, profession designed art murals. The organic art farm was designed to illustrate the importance of permaculture and sustainable farming in the urban landscape. Inspired by Antoni Gaudi, magnificent mosaic installations will be created by and in collaboration with the local community. Chief amongst of the project’s goals is to engage neighborhood children and adults in the design and construction of the park, so that their artistic visions are incorporated into the landscape of their own community. Located at 850 Jennings St, Bronx, New York, the Little Scholars Early Development Center is an environmentally friendly preschool dedicated to cultivating curiosity and the love of learning in early childhood. Little Scholars EDC provides a fresh approach to traditional preschool in a safe and invigorating environment where children have space to grow and thrive. Little Scholars is also happy to announce the opening of their second site, Little Scholars Early Development Center II located at 1770 Davidson Ave, Bronx, NY, 10453. This new site provides services to children from 6 weeks to 12 years old. Little Scholars #2 is a brand new state of the art facility, created in collaboration with the design teams that built the world renowned schools of Reggio Emilia Italy. This project aims to construct a space for children in which functional and aesthetic identities recount and support a certain precise image of the child: competent, an explorer, equipped with an hundred languages and great abilities. We encourage you to browse the Little Scholars EDC website to learn more about their cross-curricular approach, farm-fresh and organic meals, excellent teachers, and more. If you believe Little Scholars EDC is the right fit for your child, visit the Admissions page at the link below. The DreamYard Project offers nationally recognized programming across different art forms that include theatre, poetry, dance, visual arts, photography, video, music & audio production, fashion design, and engineering. Programs run after school and on weekends from October to May with summer intensives. Throug Open Studio hours, our young artists experiment with new art forms, work on independent projects, and develop their digital skills.